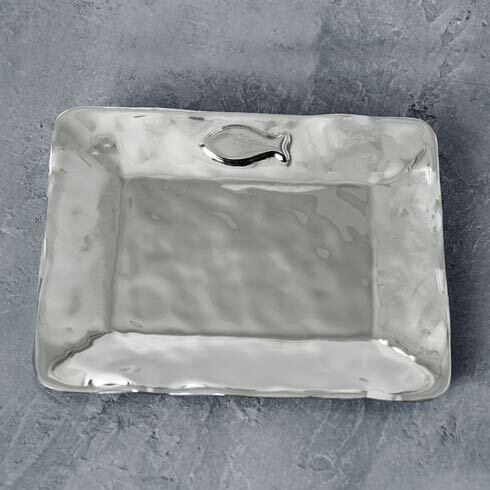 Features: Embelished with a cute little fish, the GIFTABLES Ocean Carmel Fish Tray is handsomely polished, and handmade of an oven and freezer friendly aluminum alloy. From the GIFTABLES Collection, handmade and artfully designed Beatriz Ball items at irresistible prices. 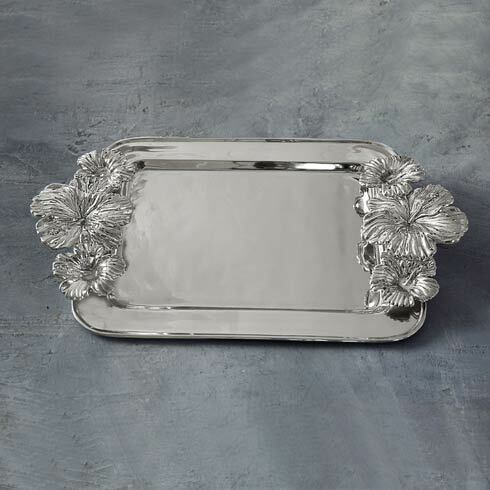 Packaged in a lovely gift box, anyone will love this elegant and versatile tray--especially folks with a beach or lake house. Use for serving cream cheese and pepper jelly, cookies, or canapés. Great for the vanity, or powder room, too! An original design by Beatriz Ball, handmade of a top quality, FDA safe, easy-care, oven and freezer friendly aluminum alloy.